Darwin's first known letters were written when he was twelve. They continue through his school-days at Shrewsbury, his two years as a medical student at Edinburgh University, the undergraduate years at Cambridge, and the five years of the voyage of H.M.S. Beagle. In 1836, the twenty-seven-year-old traveller returned to England and to an enthusiastic reception into the scientific community. Besides letters from his brother Erasmus and his sisters, there are letters from Shropshire friends, contemporaries at Edinburgh and Cambridge, and from acquaintances made during the Beagle voyage. Other than a small group of curious letters written to his 'Dear Friend' in 1821 (published in Correspondence vol. 13, Supplement), no letters by Darwin are known before October 1825, but long before then the letters from Mary Congreve, Erasmus, and his sisters provide illuminating details of the character and interests of the Shrewsbury schoolboy. Later, the letters from his sisters reveal much about life at The Mount, the family home in Shrewsbury, and of the role his family played in Darwin’s early life; those from Sarah and Fanny Owen, full of lively humour and pert social observation, illuminate the close friendship between their family and the Darwins and the informality that was the consequence of such closeness. Together these letters give a vivid picture of the social life of the Shropshire gentry of the 1820s and 1830s. The letters from William Darwin Fox, Frederick William Hope, and Thomas Campbell Eyton, among others, illustrate the scientific pursuits of the clergy and the gentry, display the differences between the scientific worlds of the metropolis and the provinces, and herald the emergence of new scientific organisations and publications. The letters written to Darwin during the voyage of H.M.S. Beagle kept him informed of such events as the founding of the Entomological Society and the early meetings of the British Association for the Advancement of Science. In the earliest letters Darwin was already keenly interested in natural history and an avid collector. At home these interests were recognised and, at the least, well accepted. The signatures in a little botanical lexicon, the Clavis Anglica linguæ botanicæ (Berkenhout 1764), now in the Rare Book Collection in the Cambridge University Library, indicate that Robert Waring Darwin gave his own copy to his son in 1820, and in the early 1820s Darwin’s brother Erasmus made him his assistant and collaborator in the chemical laboratory they installed in the garden of The Mount. From Cambridge Erasmus wrote to his younger brother detailing desirable experiments and equipment and keeping him informed of interesting specimens seen or purchased from mineral sellers. When himself a medical student at Edinburgh University, Darwin devoted much of his time to natural history and particularly to collecting marine specimens from the Firth of Forth with Robert Edmond Grant, his zoological mentor, and his friends John Coldstream and Frederick Bream Glasspoole. Later, at Cambridge, led by the example of his cousin, Fox, he soon became an enthusiastic and respected collector of beetles. Fox also introduced him to John Stevens Henslow and Darwin was a regular presence at the botanical lectures, excursions, and undergraduate parties organised by the professor of botany. And it was Henslow who, encouraging Darwin to broaden his scientific horizons, persuaded him to commence the study of geology. It was at this time, too, that Darwin first began to display the remarkable ability he had of persuading others to help him in his scientific pursuits. In September 1828 he had John Maurice Herbert and Thomas Butler following his detailed instructions in search of particular beetles at Barmouth, requests that prompted Fox to comment: ‘what deuced goodnatured fellows your friends at Barmouth must be’ (see letter to J. M. Herbert, [13 September 1828]). The willing responses of those asked for help here, as later in Darwin’s life, are indicative of the warm and lasting friendships that he was always capable of forming. The opportunity to become a naturalist on a voyage of exploration arose because of Henslow’s recognition of the abilities Darwin had displayed during his years at Cambridge and his consequent recommendation of the young graduate. Although Robert Waring Darwin initially doubted the value of the enterprise, he offered his son every assistance as soon as his objections had been reasonably answered. During the voyage of H.M.S. Beagle Darwin’s letters convey the excitement and enthusiasm of a keen and careful collector let loose in a new and challenging land; an ardent naturalist who, as the voyage progressed, became wholly committed to a life of scientific enquiry. Coupled with this commitment was Darwin’s growing recognition of his ability to contribute significantly to the study of natural history. He was careful to collect among those groups of organisms least known in Europe, and supplemented all his collecting with extensive records and observations. In palaeontology his finds were spectacular, a triumph he shared with his sisters and which added to his confidence in the overall success of the undertaking. In geology he was soon led to speculate around his observations and tried out his theories on Henslow in the privacy of their letters. Well before the end of the voyage he was aware of the value of at least some of his work, and envisaged the future publication of the results. In one memorandum he had already worked out the main outlines of his theory of the formation of coral reefs, a theory which, had he done nothing more, would have placed him in the front ranks of nineteenth century geologists. His Journal of researches, which became a classic travel book, was substantially finished by the end of the voyage, though its publication was delayed until FitzRoy completed his volume of the Narrative in 1839. When Darwin returned to England in October 1836 it was with the firm intention of writing up his geological observations and theories, the importance of which were clear to him from his communication with Henslow and his study of Lyell’s uniformitarian views set out in the Principles of geology (1830-3), and of finding able naturalists to tackle the task of sorting and identifying his zoological, mineralogical, and botanical collections. The Beagle voyage gave rise to a series of geolocial and zoological books and papers over the following years that testify to the wealth and quality of Darwin’s collections and observations. But more than this, the Beagle material was to provide Darwin with the basis for his life’s work, for it was as a result of his observations and the judgements passed by systematists on some of his specimens that Darwin became a committed transmutationist a few months after his return to England. During the voyage itself, although generalisations and theories are plentiful in his records, there are no indications that he had given up a belief in immutable, created species. The first stirrings of doubt about the fixity of species occur in the well-known passage in the ornithological notes written during the summer of 1836, when, homeward bound, he was concentrating on organising his notes on the birds he had collected. Then, Darwin wrote of the Galápagos mocking-bird specimens: ‘When I see these Islands in sight of each other, & possessed of but a scanty stock of animals, tenanted by these birds, but slightly differing in structure & filling the same place in nature, I must suspect they are only varieties . . . If there is the slightest foundation for these remarks the zoology of Archipelagoes—-will be well worth examining; for such facts would undermine the stability of Species’ (DAR 29.2: 73–4; ‘Ornithological notes’ p. 262). In the winter of 1836 the question of the stability of species awaited further consideration. As Darwin was able properly to consider the results of his and others’ examinations of the Beagle specimens the suggestion of instability developed into the conviction that species were mutable. By the spring of 1837 Darwin was a transmutationist and had embarked on the long task of collecting facts and constructing theories to explain this view of the origin of species. Berkenhout, John. 1764.Clavis Anglica linguaea botanicaea; or, a botanical lexicon; in which the terms of botany … are applied, derived, explained, contrasted and exemplified.London. Narrative:Narrative of the surveying voyages of His Majesty’s ships Adventure and Beagle, between the years 1826 and 1836. 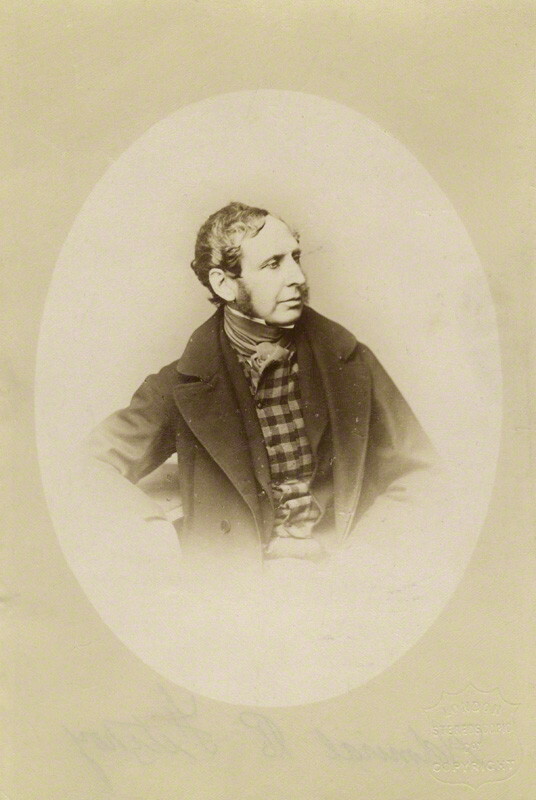 [Edited by Robert FitzRoy.] 3 vols. and appendix. London: Henry Colburn. 1839. Ornithological notes: Darwin’s ornithological notes. Edited by Nora Barlow.Bulletin of the British Museum(Natural History).Historical Series2 (1959–63): 203–78.